Product prices and availability are accurate as of 2019-04-03 09:19:19 EDT and are subject to change. Any price and availability information displayed on http://www.amazon.com/ at the time of purchase will apply to the purchase of this product. Neck Pumpkin Cucurbita pepo A winter squash variety. 120 days to maturity. 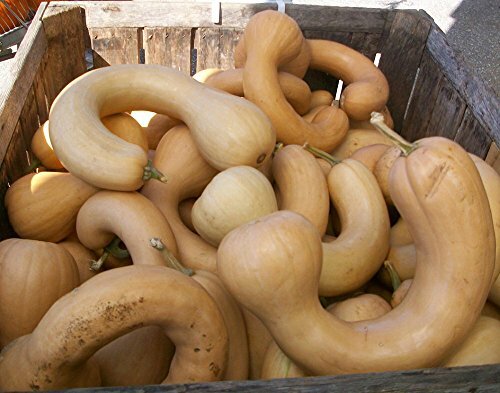 Plant produces good yields of 24" to 30" long butternut type squash. The squash has sweet tasting orange flesh. Used for pies and processing. Excellent for home gardens and market growers.